Editor's Note: This post was originally published in March 2014 and has been revamped and updated for accuracy. 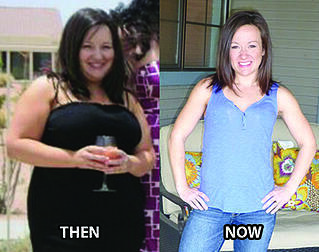 After gaining 60 pounds during each of my pregnancies, my weight was a constant battle. I dieted for 3 years, making good progress but my attempt at weight loss was always two steps forward and one step back. I kept at it, because I knew I had to get ahold of it for my health. As a working mom of two, getting to the gym was the last thing I thought I could do, much less wanted to do. I had always made excuses for why I shouldn’t workout. I grew up in a family with parents who are very fit and active. In fact, I even grew up with a gym in our garage. Being 4’11”, I have always been small, but “thick." I was in decent shape throughout my childhood and teen years, but as a teen I was more interested in things other than taking time to be active and take care of myself. The day my youngest child started preschool, I realized I didn’t have any more excuses. I knew that working out was the only way I was going to get back to my pre-baby weight. I looked in the mirror and decided that enough was enough. I didn’t likethat when I looked in the mirror I didn’t feel like I was looking at myself. I looked up local gyms and signed our family up at California Family Fitness that day. My family and I immediately felt comfortable at the Cal Fit Orangevale location. I started going 3-4 days a week right away. My kids loved the Kidz Klub, which really helps my ability to get there daily, knowing they are safe and having fun with their favorite teachers! I wanted to be sure I was not wasting my time while I was at the gym, since it was such a sacrifice to get there, so I decided to try personal training in Sacramento. I figured I would learn the ropes and figure out what I should be doing at the gym to see the best results. I booked an appointment with Certified Personal Trainer, Tim Yamagata, and it was the best decision I have made in my weight loss journey. I will never forget when he asked me my goals, and the first thing that came out of my mouth was “I want to become strong.” Little did I know that statement would change the way I saw fitness forever, and ultimately change my life. I have continued to train with Tim. His knowledge, charisma, and way of making me understand everything in my program has helped tremendously in my journey. He has pushed me into a whole new level of fitness I never thought I would love. I started weight training and fell in love with lifting heavy weights and working out in the weight room. I now have a better understanding of fitness, how my body works and responds to it, and started looking at my diet more seriously than ever. I have learned to balance cardio, lifting and diet, and my body and life have transformed. My body has been transformed and I have surpassed fitness goals I never thought were attainable. I have gained both strength and muscle while I losing 13% body fat and 25 pounds in 7 months. I feel amazing, healthy, toned and confident. Being a mom, I thought those feelings were a thing of the past. At 30 years old, I am now in the best shape of my life, and am a role model for my family and friends to be healthy and active. This is only the beginning of my journey. I still have much to learn and many goals to reach. I am going to run in a half marathon in March and hope to compete in a Figure Competition within the next year or two. The sky is the limit and I cannot wait to see where this journey takes me! Inspired to see how Cal Fit has helped others reach their fitness goals? Check out our Member Success Stories here! 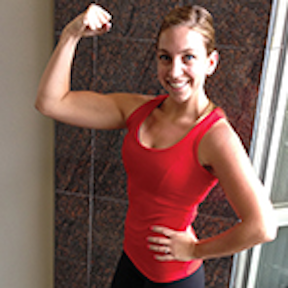 Cal Fit Success Story: Rocklin Member Megan W.